Bundesliga | Leipzig's Willi Orban: "Just look at our points' tally to see how far we've come." Leipzig's Willi Orban: "You can see how far we've come." RB Leipzig's first season in the Bundesliga is getting better and better with just five points separating them from league leaders Bayern Munich heading into Matchday 22. Anybody expecting their bubble to burst is going to be left disappointed according to the man helping sustain their challenge by providing solid foundations at the back. 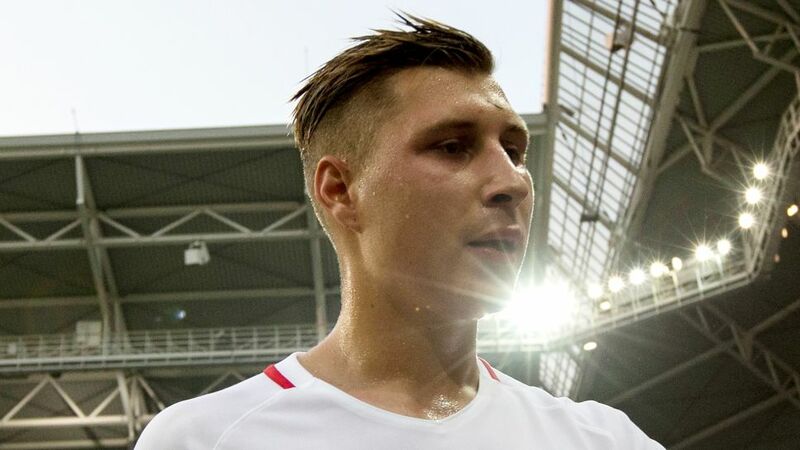 bundesliga.com caught up with that man Willi Orban to gauge his thoughts on why Leipzig are being so successful, and what people can expect from them against Cologne this weekend. Orban is the highest points-earning defender on Official Fantasy Bundesliga – sign him up now! Willi Orban: I can confirm that. Just look at our points' tally to see how far we've come. This is the result of our meticulous work and the way we take things week by week. We always aim to train hard in order to be able to face up to our challenges in the best way possible. bundesliga.com: Your teammate Stefan Ilsanker’s father played with coach Ralph Hasenhüttl at Austria Salzburg in the 1990s. Ilsanker junior said Hasenhüttl's something of a surrogate father to him sometimes. Does the coach come across like this with the whole team? Orban: I think the relationship between "Ilse" and the coach is something special, because Herbert and Ralph played together for years and were probably also roommates. I think our coach's a very pleasant person. He makes it great fun to work with him every day. He always manages to balance the fine details and objective criticism with a certain composure. There's always a hint of humour and you can feel his work's a pleasure to him. This positive energy seeps through to everyone. Orban: I think the start of the season was very important, especially for me personally. We realised very quickly that we were not only able to compete, but to win. Especially that first home game – our very first in the Bundesliga – against Borussia Dortmund. This gave us a lot of confidence. I've racked up a fair few games as a professional now, so I've got a healthy amount of confidence going into games, but also respect for my opponents. Orban: I just try to be myself. Perhaps determination is in my nature. But if you want to be a leader in football you have to lead by example. And this – to play well on a regular basis – is my primary goal. Obviously you have to assume responsibility and communicate as a leader, and as a centre-back you have to intervene verbally, but always with the team in mind. I was made Kaiserslautern captain at quite a young age, and now I'm the vice-captain at Leipzig it makes me very proud. Orban: When Dominique and I played against each other in the reverse fixture, we swapped shirts. We still have a very good relationship. We sometimes write to each other on WhatsApp or SMS to wish each other good luck. Orban: We both decided to take the next step after leaving Kaiserslautern, and we've both established ourselves with our new sides. I'm very happy for Dominique that he's found success at his new club. bundesliga.com: Leipzig vs. Cologne means two of the best defences in the league going head-to-head. Will this game be more struggle than spectacle? Orban: I'm convinced it will be an interesting game. Both teams are known for their great attacks as well as defences. I certainly don't think it's going to end 0-0. We're expecting a very attacking game. If we're brave, I'm sure we'll manage a goal or two. Head right this way for the Leipzig-Cologne LIVE blog!